On November 3rd three US cities put speed and/or red light cameras to a popular vote, and all three voted them down. 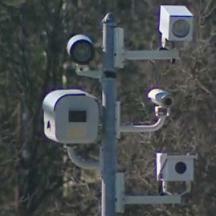 The People of Chilliccothe, Ohio passed a total ban on speed and red light cameras. Voters in College Station, Texas and Heath, Ohio voted to ban red light cameras. In each of these cities the camera vendors funded PR campaigns to try to affect the outcome of the vote, and in Chillicothe the Mayor tried to get the Ohio supreme court to block the referendum. So far of the 9 US cities where the public was given a direct vote on speed or red light cameras, and the cameras were rejected every time. Regrettably referendum power in Maryland is pathetic. Perhaps it is time we get a real referendum process or change our lawmakers.